Cerno wins in 2012 – maybe our La Belle Dame next year? 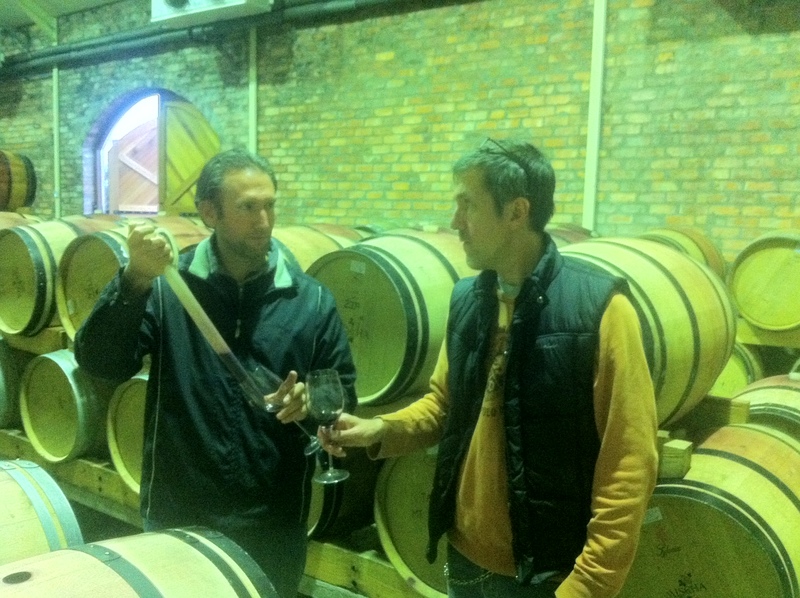 Congrats to Andrew Barns and Mischa for being awarded yet again at the Michelangelo International Wine Awards. This year, on top of the gold stickers, Andrew’s Mischa Cerno 2009 was awarded the Tonnellerie de Mercurey Trophy for “Best Bordeaux blend” in South Africa! Andrew is also the man who guides us in producing our delightful red blend La Belle Dame Sans Chapeau and for those of you who have visited here, Bailey our rotund pavement special, started out her journey to Swellendam with Andy and his gorgeous wife Rachel. Our exclusive Cerno is a terroir based blend of noble varieties that best epitomizes the virtues of our complex and timeworn soils. This intriguing blend offers rich opulent fruit on the nose, hedonistic black currant is mixed with cedar and truffle and further enhanced by secondary notes of all spice and cinnamon which continually evolve. The palate delivers what the nose promised with lovely depth and balance. The acidity is crisp and fresh the tannins are tight as can be expected of a young wine, but promise to mature beautifully. The blend has a long lingering finish that speaks of what is to come. This wine is clearly from the Mischa stable with rich structured tannins and crisp acidity, but is a clear and exciting expression of the estates unique terroir.